Sometime's what feels like a problem is actually a miracle in disguise. After what I considered to be a traumatic birth experience, and when I was finally able to hold my son after some complications, I fell in love. My boy was long, thin, and a pile of mush. His complexion was dark like his father’s, his eyes huge like mine. He was a perfect combination of us both. I had friends who had children on the autism spectrum, but that was so far from my brain, it wasn’t even a consideration. “Not MY kid.” You know how it goes. He had his first tooth before he was 2 months old, crawling by 5 months old, and walking before a year. He was flying through his milestones faster than I could keep up. “We must have a special kid.” I’d tell my husband, and of course he’d agree. The only thing that seemed to be a slow progression was his speech. Everyone assured me that boys take longer than girls to talk. With a reassured heart, I continued parenting my son the best way I knew how: With love, patience, and a crap load of diapers (no pun intended). 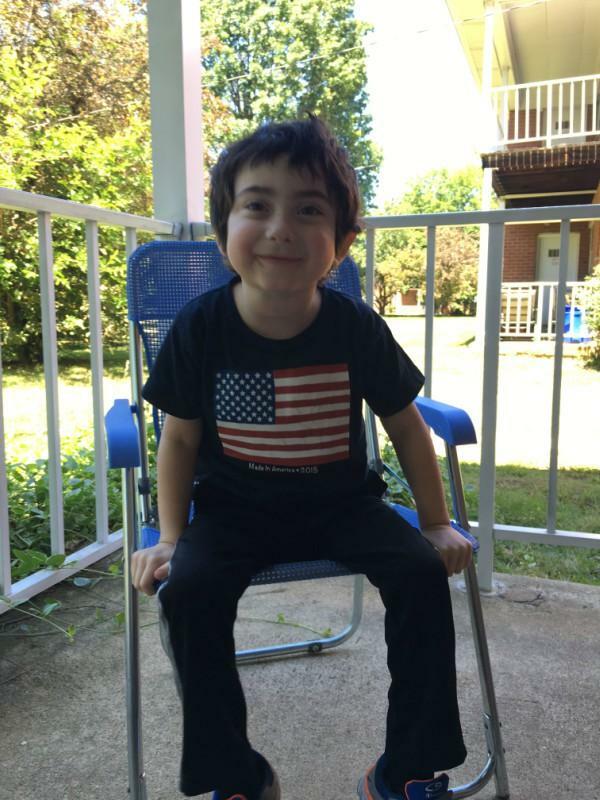 When he was 16 months old, my husband and I decided to get him evaluated for Early Intervention (a free in-home therapy service paid for by the state, up to the age of three). We lived in NYC at the time, and I assume it’s this way in other states, but it was a long, frustrating process. After all was said and done, despite our child not speaking, he wasn’t eligible for services. “He’s still young. He may just wake up one day and start speaking in full sentences. I’ve seen it before.” The speech therapist said. OK! I was on board for that. Well, my son is now almost 5½ years old, and he still doesn’t speak in full sentences. He can say certain words to indicate what he needs or wants (of course, he can say “toy”) but we don’t have those fun conversations I see my friends have with their similarly aged children. He has eating and sensory issues and has been officially diagnosed autistic. At first, my reaction was that of sadness. “Why MY child?” I didn’t fully understand autism until I took the time to read up on it and learn it’s not a death sentence and there are people who live happy, full lives while still falling somewhere on the spectrum. Living outside of NYC now, we are in the process of getting him the services he needs. Everyone seems to be on the same page as to what he requires, and that’s a relief. My son will grow, in his own way, at his own pace. The funny part is, I used to think my son was special because of how fast he was maturing, and now, I KNOW he’s special; he’s special because despite his lack of speech, and all the milestones he hasn’t reached, he’s one of the most loving, thoughtful people I know. And if that’s what autism is, then I’m 100% OK with that. In the five years my husband and I have been blessed to know our little boy, he has taught us SO much about life, love, and happiness. And now, I’m going to share those things with you. 1. I learned to have patience. ​Unfortunately, when you're dealing with teams of doctors, therapists, and administration, it all takes TIME. One doctor may say one thing, while the therapist says another. Who do you believe? It's still a learning process for the entire family but one thing is for sure, you definitely learn to take things slow. When it comes to your child, you want answers NOW, but that doesn't always happen. ​I've always been told how sweet I am, or thoughtful. But one thing that is totally necessary when loving a special needs child is compassion. Having a child who is mostly nonverbal means I have to decipher his needs through his cries, his movements, or his behavior. It can be incredibly frustrating. Sometimes it's like trying to understand someone who's speaking a different language. But if you think of how HE is feeling, it's probably far worse. Being compassionate to his needs and the skills he currently lacks goes a long way. 3. I know how important it is to be present in each moment. To be honest, I'm still working on this one. It's all too easy to be outside of your current situation, worrying about the future, the past, and everything in between. But all that time spent worrying is causing you to miss out on what's going on RIGHT NOW. When it comes to caring for a special-needs child, being present in the moment is key. Your child is looking to you for guidance, and they can absolutely sense, maybe even more than non-special needs kids, your emotions. Sit down on the floor, eye to eye with your child, put the phone away, and enjoy the moments. 4. I realized it's OK to cry! There are so many moments I have to hide in the bedroom, or bathroom and just let it out. There's a lot of emotion that comes with raising a child, and one with special needs even more so. We're only human. We can't expect to keep everything in. It's OK! Go cry. 5. I DO NOT compare my family to others. ​Easier said than done. I KNOW! Especially now with Facebook and everyone posting pictures and videos of their children's accomplishments, it's so very hard not to compare. It doesn't even stop at children though; we all compare ourselves to others, it's only natural. But try to fight against that. People only post the good times on social media, which means you have NO idea about the bad stuff. Trust me, you and your family are right where you should be. 6. I live a life full of love. ​There's nothing like the love of a child. I'm grateful that my son is the way he is, because he has taught me to love everyone, even myself, despite my flaws. The love he shows me proves that I (and my husband) are the only ones in the world that could care for him. We were given him for a purpose; to learn about love and life. The only thing I hope for is that we can return the favor and provide him with the same amount of happiness he gives us.